Teaching With Love and Laughter: Teachers pay Teachers Gift Card Giveaway! I’m so excited to be teaming up with my favorite freebie-friends for a BIG giveaway to help get you going this school year! Over at our Freebielicious blog, we’re giving away a BIG, GRAND PRIZE (scroll down to the bottom of this post to read all about it!) and right here on my little blog, I’m giving away $25.00 to my favorite store to go school shopping: Teachers pay Teachers! Teachers pay Teachers is my favorite place to shop for all the clip art, fonts, border, and digital paper I need to help me create my classroom activities. I also shop there for products that I need for my students. I used to shop at my local teacher store, but Teachers pay Teachers has definitely put an end to that. I'd much rather buy from other teachers and help support the teaching community. If you're needing to do some back to school shopping, I've got you covered with a chance to win a $25.00 gift card to Teachers pay Teachers! Woo hoo! Please enter, with integrity, using the rafflecopter below. I'll choose a winner a week from today. I just emailed the gift card to you! 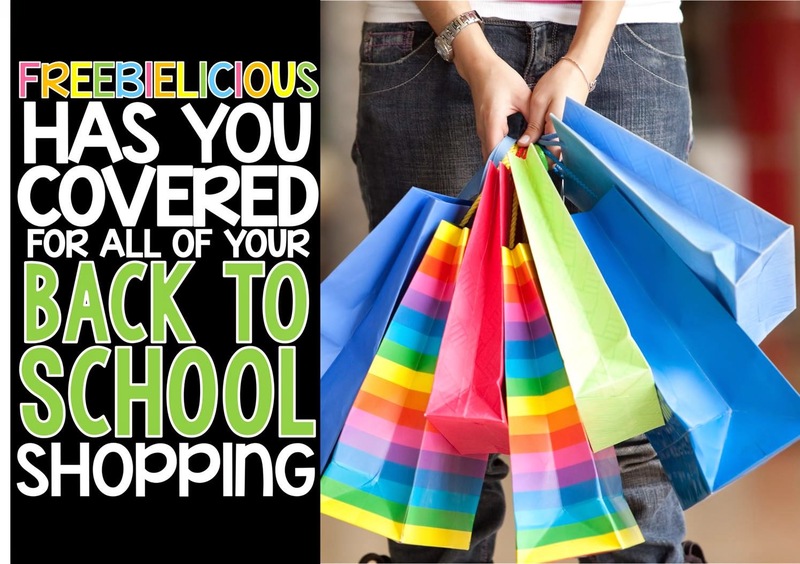 The Freebielicious ladies know how much of your own hard-earned money goes into buying supplies, tissues, books, and classroom décor to get your classroom “kid-ready,” and we want to be able to put some of that money right back in your pocket. 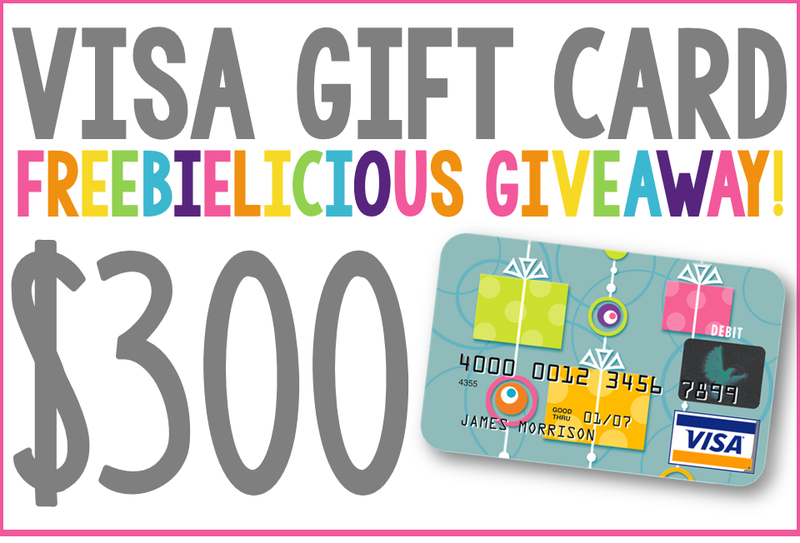 Over at the Freebielicious blog, we are giving away a $300 Visa gift card! YES…YOU READ THAT RIGHT! $300!!! You are the queen of giveaways this month! I came to check on the seat sack giveaway and found this one! :) Thanks so much! I'm new kindergarten - and admit - I'm working hard right now to meet their needs. My kids often can't do what I'm finding on the blogs. The majority don't know any letters - not even their name - do not know how to hold a pencil or crayon. The majority have never been in any kind of learning program before. Thanks for the giveaway! I hope your school is off to a great start! I do have a question I need help with, and have been searching the blogs for, but haven't found much on. How to effectively use a paraprofessional. Can anyone point me in a direction? your site is amazing! Thank you! Thanks for the chance to win with this giveaway! It is amazing and I've still got lots of your products on my wish list!! Trying to keep my head above the water. I don't know how you girls do it, blogging, creating TpT, teaching and families. I'm in awe! Thanks for your giveaway! I just love reading about your class. You have great ideas. Thanks for having a giveaway!!! It is so fun! I'm envious of all the creativity all you ladies have! Thank you for your time and efforts you put towards creating fantastic products! With all the change in curriculum from basal to mentor text and the reading workshop model, I need all the gift cards I can get! Thank you so much! This is so fabulous! Thank you ladies for putting this on. I hope your firs day/week went well. I found out....I have my work cut out for me again this year (lots of low readers). Have a great week! 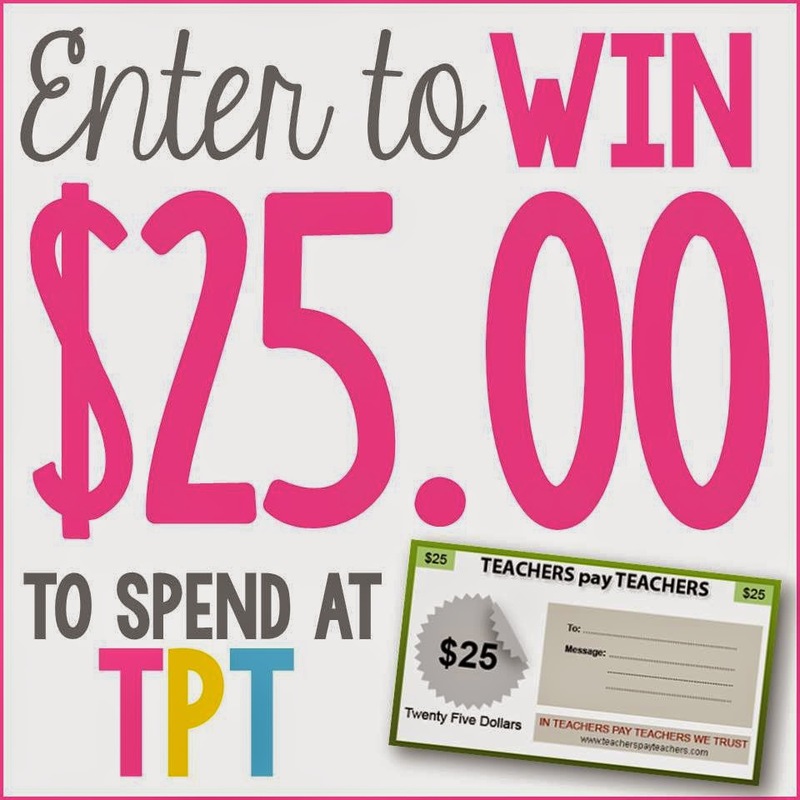 I would love the opportunity to purchase some much needed resources from TPT! I'm so bummed I didn't win the seat sacks! :( but thankful for another opportunity! I spend so much money on teachers pay teachers. It's such an awesome site! Thanks for having another giveaway! What an awesome giveaway! I hope you had a great start to your school year! We are already 24 days in!! Wow! Soooo many things to look at, I may have ADD! Thanks for the back to school giveaway! What a great giveaway! I always need to buy resources from TpT so I'm having my fingers crossed! I just came back to kindergarten and I love reading your blog. It is so helpful. Thank you for the great giveaway. Thank you for this giveaway! Fingers crossed! I would love to win this one!!! My wish list is a mile long! Thank you for all you do and share. Your giveaways are so generous - thank you!! Thanks so much for this great giveaway, Lori! Thank you for all that you share. I love your management ideas. Thanks for such an awesome giveaway. This giveaway is so exciting! I hope I win! This is a great giveaway...thanks! This is an awesome giveaway!! I would love to win. I love teachers pay teachers! It's so fun seeing how creative some of us teachers are!! I always get great ideas and resources from you. Thanks for sharing your creativity with us. Have a great year! Thanks for this amazing giveaway! I hope I win! I love your blog & this giveaway! AWESOME giveaway! I always enjoy your blog! Thank you for your awesome ideas!!!! thank you so much for all the great info and resources you share! I have a ton of stuff on my wish list that I could use this for. Thanks! My wish list on TpT grows almost daily it seems! I hope your year is off to a great start! Thank you for all you to do help other teachers! Your products are wonderful and your blog is extremely helpful! Your Pinterest site is AMAZING!!! 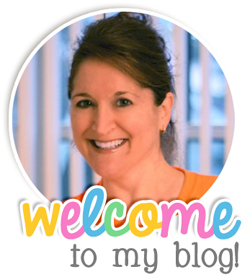 I just LOVE your blog, and winning a TPT gift card would be super helpful!!! Love following your blog, store, Pinterest, etc.! This is a wonderful giveaway! And... I love your blog! This is a fabulous giveaway! Thank:) I have been following your blog for awhile now and I love it! Thank you for the generosity you always show! Hi Lori! Hope your year is off to a great start! Thank you for the chance to win this and the other amazing prizes at Freebielicious. That gift certificate to TPT would really come in handy right about now! 300 dollars! Wow!! You all rock! This is a great giveaway! I could certainly use this TPT gift certificate. Thanks. This would be awesome to win!!! So many things I want to buy! This is an awesome giveaway! Just what we need, a little pick me up with the stress of starting a new year! What an amazing giveaway! Teachers spend so much $$ it is nice to have a little extra! Great giveaway! It would be so nice to get those things I still have on my wish list, like your journeys interactive journals. Amazing giveaway! It's so fun to win products but even more fun to shop!!! What a fun giveaway! I LOVE Kindergarten. Such an amazing giveaway Lori! Thank you! Thanks for such a fun giveaway!! Not only do you have the best content for teachers, but the best giveaways as well! Thanks for the chance to win! What a great way to start the school year! So excited about this giveaway! You ladies never disappoint! I am amazed at all of the generosity, thank you!!!! I love your blog design!! so cute! Would love to win this!!! Thanks for sharing!! I liked your seat back idea. Time saving. Thanks for the giveaway. This is a very generous giveaway...I don't often win but get real giddy when I do...This is my first year in primary (2nd grade) Its quite an adjustment...but I'm hanging in there!! I love reading your blog. I'm going to do the Johnny Appleseed craft that you posted about from teacher bits and bobs. Can't wait to see their drawings! Thanks for sharing. Thanks for the awesome giveaway! I have my fingers crossed I can be a winner! Thanks for the opportunity ! Hope your school year is off to a great start ! Thanks for the opportunity! Would love to go shopping in your store! I would love to win! My wallet is sooo empty from not getting paid all summer (unexpectedly) AND all the B2S shopping I did for my new classroom! Yay thanks so much ladies! Thank you for the chance to win! These giveaways are AMAZING!!! Oh, I sure hope I win this! It will come in SO handy. :) Thanks!! What a fun giveaway! Also I love the seat sacks idea! Perfect! Fingers crossed that I win! I bought your grammar notebook this summer and my students love it! What an awesome blog! You are fantabulous! Thanks for the giveaway and making it so easy. Just stumbled upon your blog. Cute! And, of course, great giveaway!! Thank you for the fabulous giveaway!! You ladies are incredible. Keeping my fingers crossed! Thanks for doing the give away. I am enjoying using your grammar interactive notebook packet with my class this year. Thank you for the great giveaway! You are so generous! Thank you for all you do to help fellow teachers. Another fun giveaway by all of you! You all are AMAZING! Can't wait to see if I win!! Thank you for the giveaway fun. Have a wonderful weekend! Thank you for participating in this giveaway!